Resource center Guide to Research Chemicals and Synthetic Drugs What Is Benzo Fury? Benzo Fury is the name of a new psychoactive substance (NPS) that was very popular in the United Kingdom starting around 2010 and banned in 2014. It was also sold legally in the US for several years. While it is not banned at the federal level, several states have restricted or banned sale of this alleged research chemical. Like other research chemicals, NPSs, or internet drugs, Benzo Fury features a label stating that it is not designed for human consumption. In fact, the base chemical – benzofuran – is used in several manufacturing settings, including in isolating coal from tar sands. Unfortunately, a version of the chemical in the form 6-APB or 5-APB has been developed as an intoxicating substance. These new chemicals called Benzo Fury are chemically similar to MDMA, so they have similar psychoactive effects. Some preliminary studies suggest that Benzo Fury is more potent than MDMA and methamphetamine, so it is riskier to consume. Also, their hallucinogenic properties are stronger than those of MDMA. Like other dangerous synthetic drugs, Benzo Fury comes in a brightly colored foil pouch. It can be a tan or white powder, a tablet, a pellet, or a gel capsule. While the powder can be snorted, this is reportedly very painful; instead, most people who abuse Benzo Fury take the drug orally. Pills can be swallowed whole while the powder may be mixed into a soft drink or alcohol. 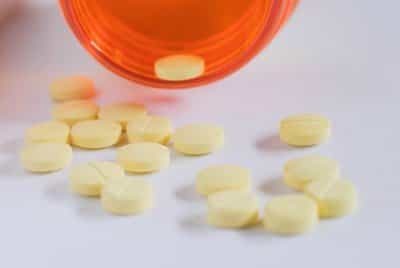 The effects and the comedown from the drug are considered similar to those associated with MDMA, although they can also be harsh like those associated with synthetic cathinones, including bath salts. Aftereffects, or the comedown period from the drug, can last for a full day. The drug’s release of neurotransmitters depletes the brain for a long time, which can lead to an increased risk of bingeing on Benzo Fury to avoid the comedown or bingeing on other substances to moderate the aftereffects. Because Benzo Fury is a relatively new substance on the illicit market, it is hard to know what long-term effects of abuse will be. The greatest known risk is overdose. Psychosis is one of the most common reasons people who have taken Benzo Fury are hospitalized. A case study of one individual who consumed this drug showed that he experienced paranoid delusions, became very agitated, and could not distinguish reality from fantasy. He also physically harmed himself. The symptoms reportedly got worse the second day of his admission due to the large amount of Benzo Fury he had consumed which was still affecting his brain. A survey of the UK database, Substance Abuse Deaths, found that there were 10 deaths involving Benzo Fury between 2011 and 2012, with none occurring prior to 2011. Benzo Fury was directly implicated in eight of those deaths, although nine of them involved multiple substances in the body. The median age of those who died because of Benzo Fury was 24 years old. In the US, Benzo Fury began causing overdoses noticed by medical professionals in 2014. A student at a university in California died during a music festival that year after drinking alcohol all day and then consuming Benzo Fury at the concert. Again, because Benzo Fury is a new substance, the main effects seen have been hospitalization, overdose, and death. It is unknown if the drug is truly addictive, like cannabis, cocaine, or nicotine, but medical researchers believe this is likely. Many other drugs that cause hallucinations, like LSD or psilocybin, are not considered addictive; however, drugs that have mixed effects, like MDMA and now Benzo Fury, may stimulate the reward centers of the brain and lead to addiction. Additionally, Benzo Fury may be a drug used in social settings like nightclubs or raves, either used on purpose or taken accidentally, with users believing Benzo Fury to be a drug like ecstasy. These settings are associated with polydrug abuse, with alcohol, marijuana, and other drugs often used in combination. Polydrug abuse is much more likely to lead to physical dependence on drugs and overdose. Since Benzo Fury is a new chemical on the market, and research is still being conducted into how it affects the brain, there are no medications available that ease the body off dependence on this drug. It is important to follow an evidence-based treatment plan and work with a medical professional to safely detox from the drug.